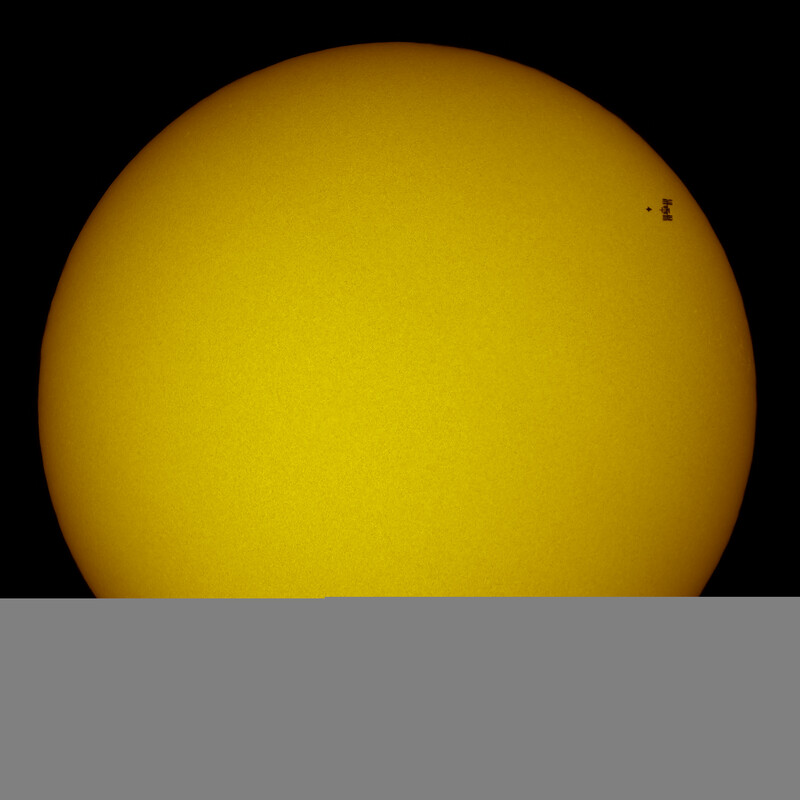 Explanation: That's no sunspot. 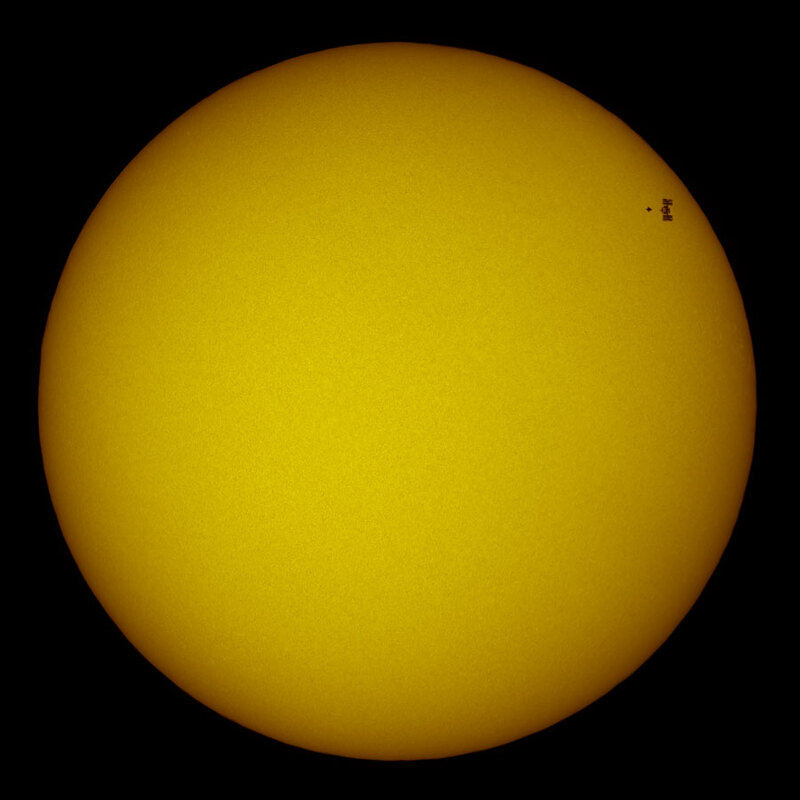 On the upper right of the above image of the Sun, the dark patches are actually the International Space Station (ISS) and the Space Shuttle Atlantis on mission STS-132. In the past, many skygazers have spotted the space station and space shuttles as bright stars gliding through twilight skies, still glinting in the sunlight while orbiting about 200 kilometers above the Earth's surface. But here, astrophotographer Thierry Lagault accurately computed the occurrence of a rarer opportunity to record the spacefaring combination moving quickly in silhouette across the solar disk. He snapped the above picture on last Sunday on May 16, about 50 minutes before the shuttle docked with the space station. Atlantis was recently launched to the ISS for its last mission before being retired.